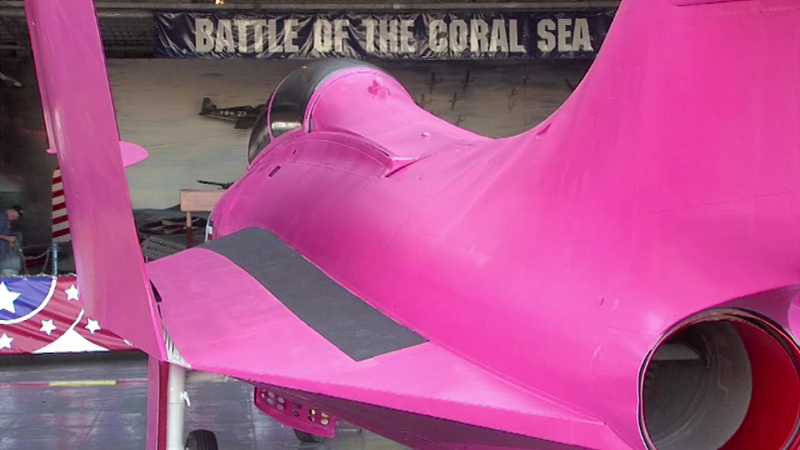 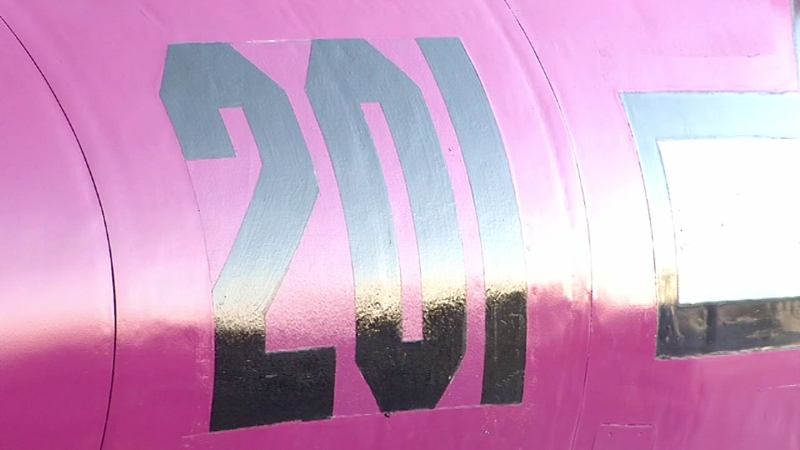 A retired Navy fighter jet was just painted pink in honor of Breast Cancer Awareness Month. 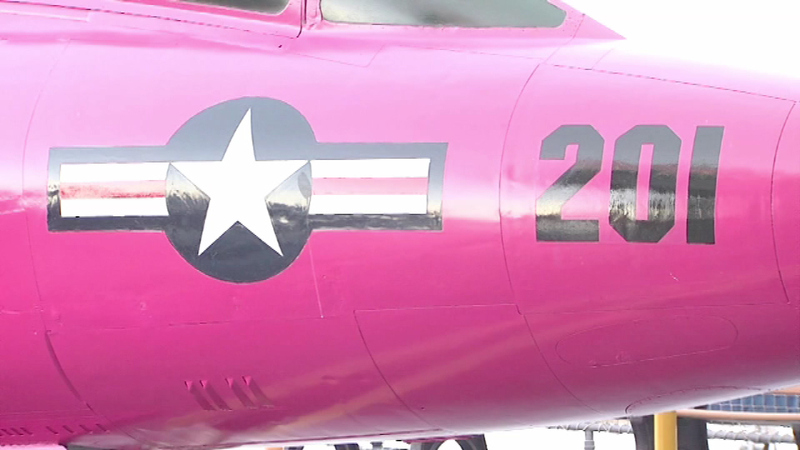 CORPUS CHRISTI, TX (WPVI) -- In honor of Breast Cancer Awareness Month the U.S. military is stepping up to help. 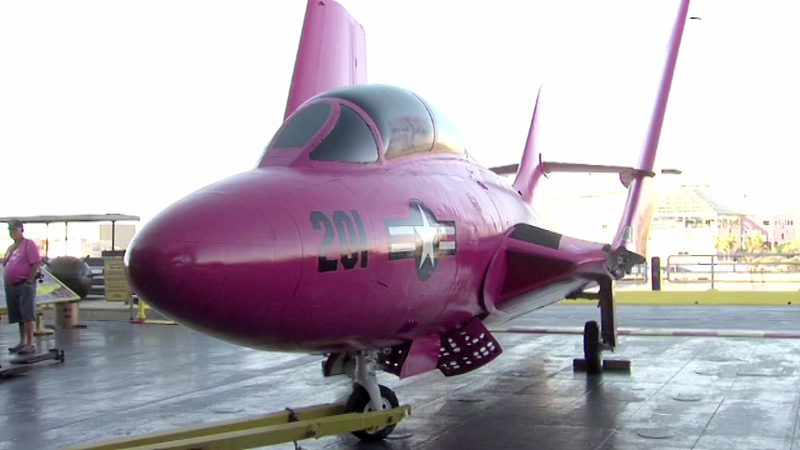 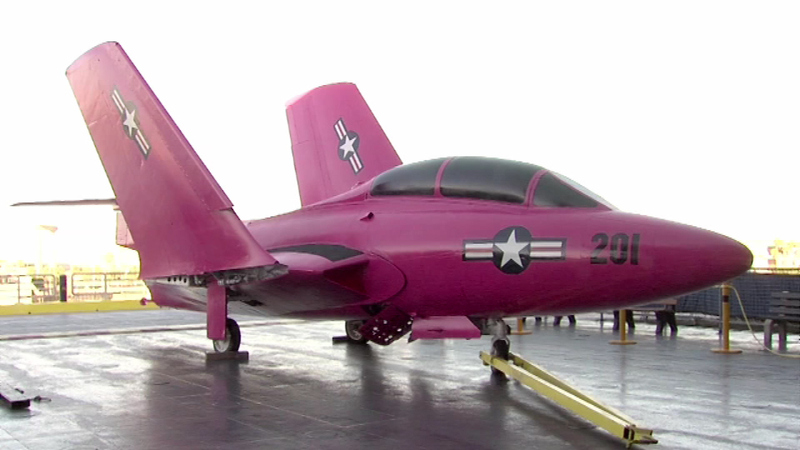 A retired Navy fighter jet was just painted pink. 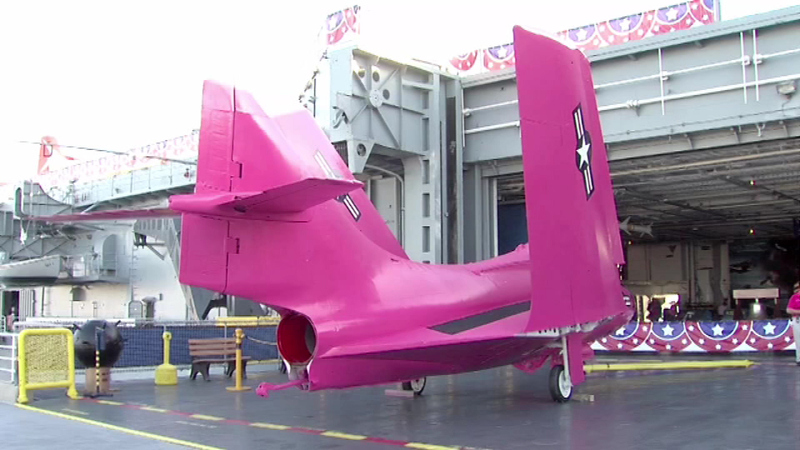 The jet sits on the flight deck of the World War two aircraft carrier USS Lexington. 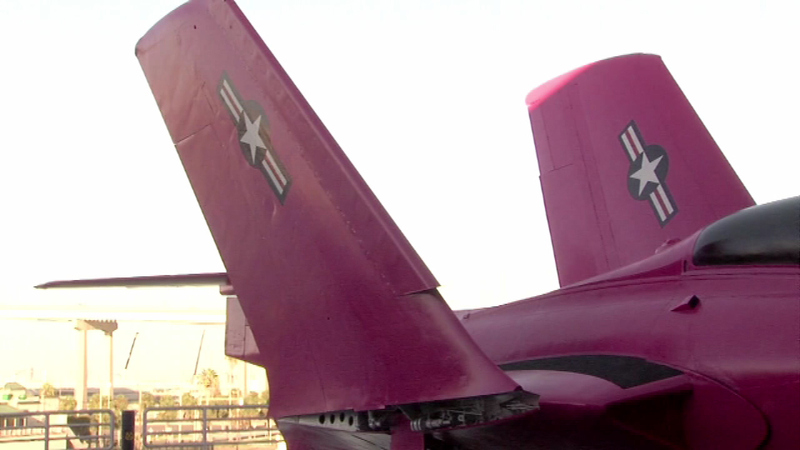 It's anchored in Corpus Christi, Texas. 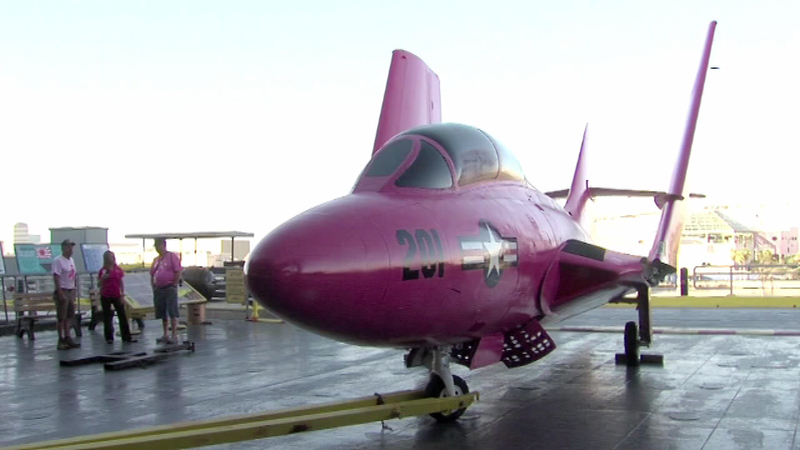 The jet will be on display until the end of the month.